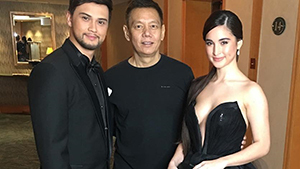 They joined stylist/designer Bang Pineda as he traveled back in time and into the future. This new look, a testament of his career, is the essence of his fashion identity. “Being a designer is my DNA. It’s my core. In the end, I am a menswear designer. 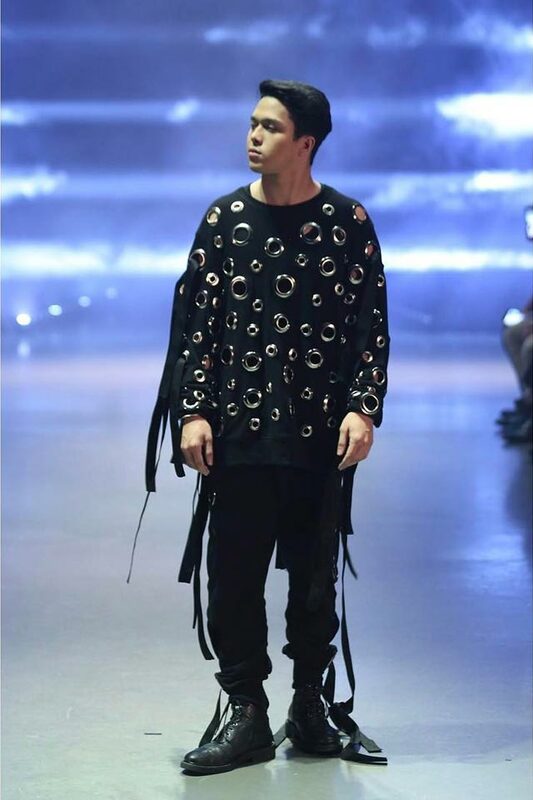 I started as a menswear designer before doing all this styling for all these big celebrities,” Bang points out. 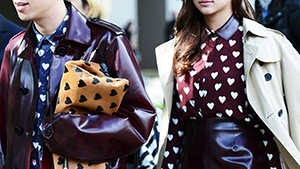 Although he identifies closely as a designer, his styling clout is an undeniable force in fashion as well. Hence the many celebrities that graced his catwalk (and the screaming fans outside). 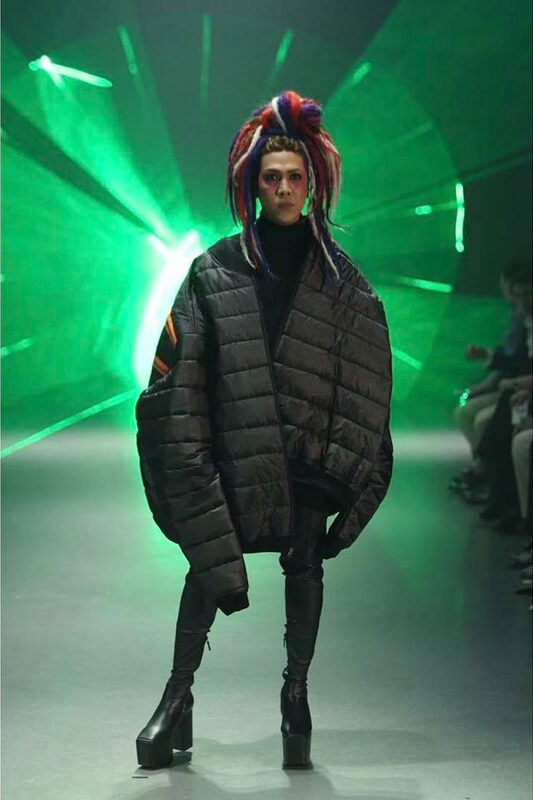 Vice Ganda donned brightly colored dreads as he sashayed down the catwalk in an oversized puffer bomber jacket. 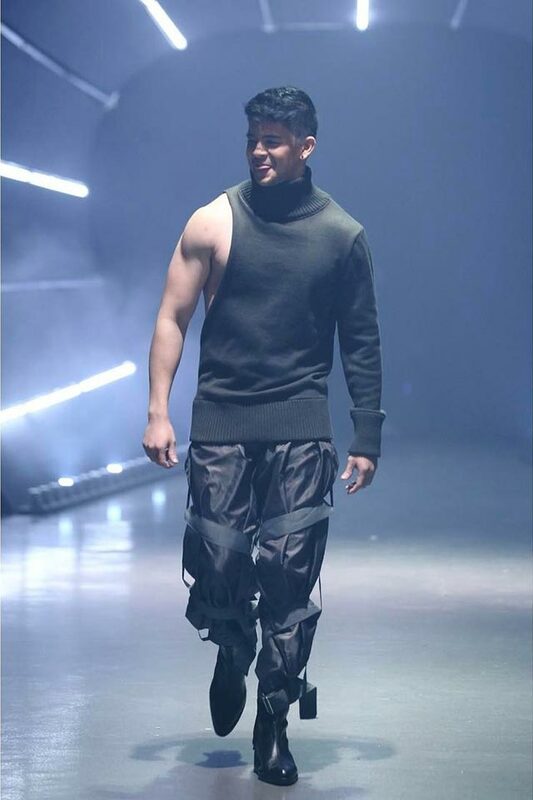 Rayver Cruz sported a one-sleeved sweater, while Piolo Pascual wore nothing but a full length cardigan. 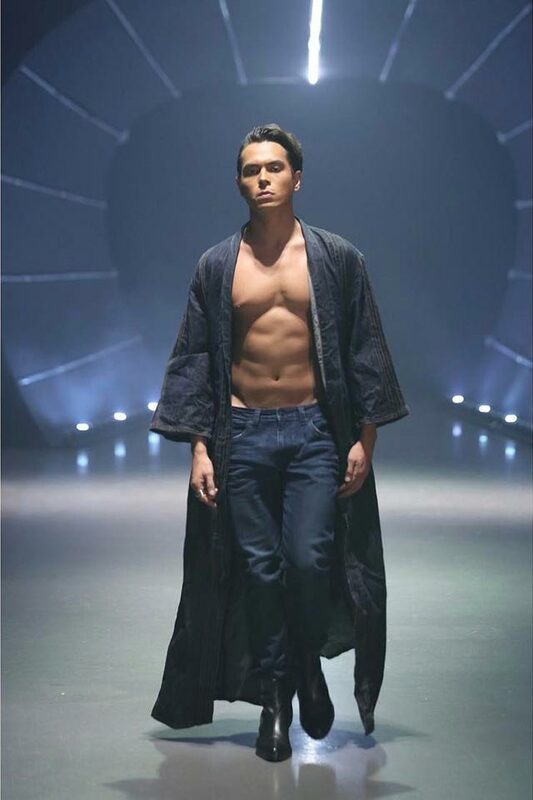 Jake Cuenca paired jeans and a cover-up with rock-hard abs and Elmo Magalona smoldered in an all-black ensemble. 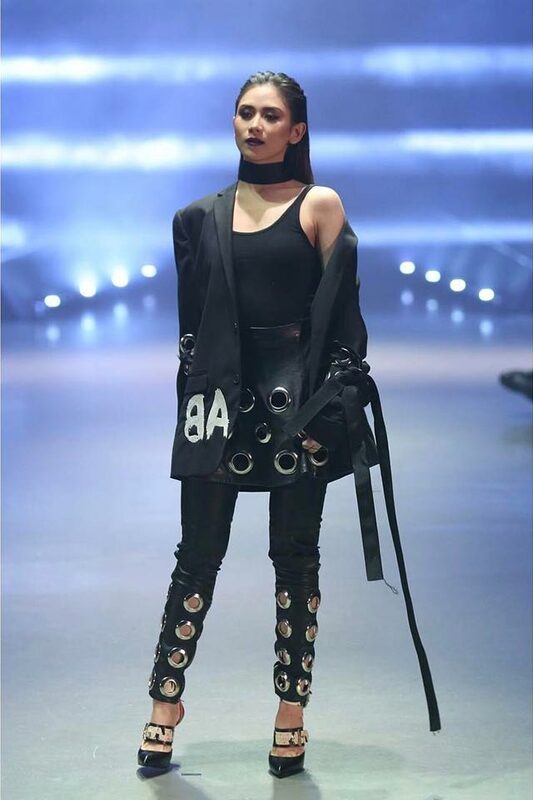 Tim Yap showed off an edgy varsity jacket before Sarah Geronimo closed the show in a gritty leather outfit. 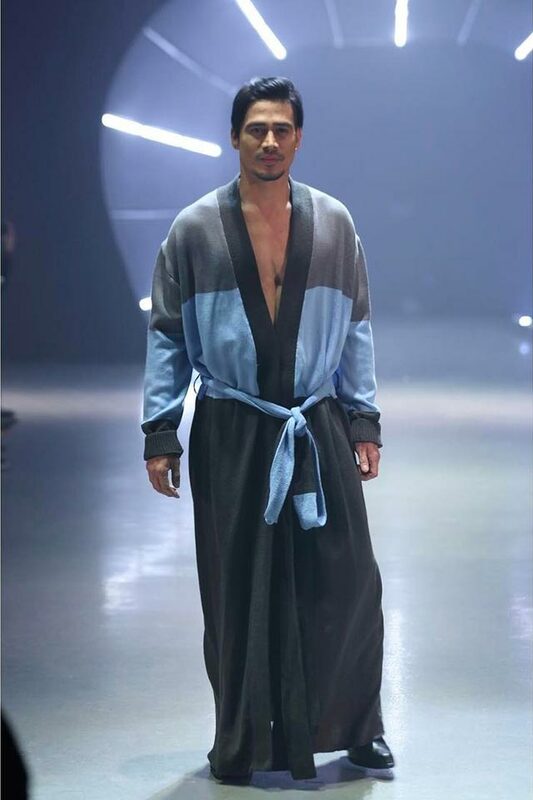 Oh, and her boyfriend Matteo Guidicelli rocked the runway, too. The 55-piece collection was divided into different segments such as sporty, denim, and edgy. The “‘90s with modern sensibilities” approach was translated through eclectic mixes of denim and knitwear, nylon and streetwear, sporty and luxe. It was avant garde yet very wearable. Bang’s idea of a sporty look suggests that you could layer your suit jacket with a hoodie. You can wear nylon puffer pants and stop traffic with reflector bands on a mesh vest. You can even go the extreme and wear head-to-toe puffer—it actually looks really cool. On the other hand, Bang does knitwear in linear, languid silhouettes, with asymmetrical touches; showing off a bare arm or two. His denim iterations stole the show with boxy jackets and straight cut jeans reminiscent of denim worker ensembles (Jo Ann Bitagcol modeled one look!). “Bang” and “1125” (his birthday) are embroidered—not painted—onto the jackets in a genius trompe l’oeil way. 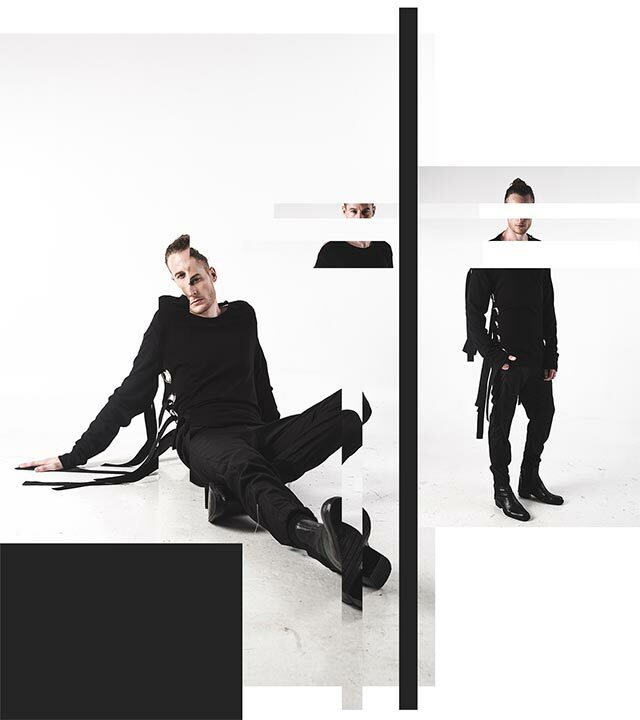 Lastly, his androgynous black pieces were dotted with grommets and spliced with swaying sashes of more black—restrained maximalism, if you will. In totality, the designer also points out: “There’s no gender. Both men and women can wear it. Like this jacket, you can wear it. 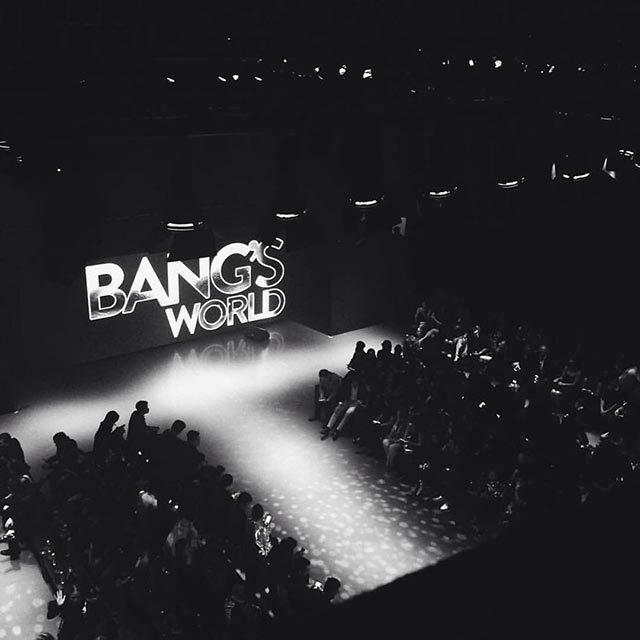 [It’s] very androgynous.” Yup, Bang’s World is not only an amalgamation of who he is, but a statement of what fashion was then, what it is now, and what it will be. Care for a deconstructed pullover, anyone? Launch the gallery and browse his 2017 Menswear Collection lookbook.